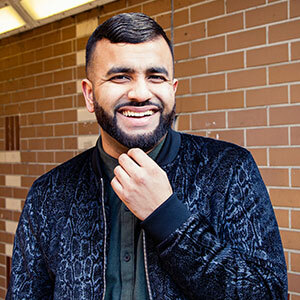 Having been inspired by a school teacher who urged him to enter a poetry competition, fast forward a decade or so and Hussain Manawer now travels across the world to deliver raw performances that promise to pack an emotional and inspiring punch. Carving out a new genre of socially conscious art for the masses, the ‘Original Mummy’s Boy’ has just released his latest body of work entitled 'Homemade', a 4-track poetry grief cycle through Universal Music’s Virgin EMI Records, to critical praise. Hussain recently launched the UK's largest mental health festival in partnership with Twitter UK at Hackney Empire and received an Honorary Fellowship from the prestigious King’s College London for his work in mental health and public sciences.